Join Christian and Brandee for an energy-body-healing Sound Bath with Quartz Crystal Singing Bowls and Modular Synthesizers. 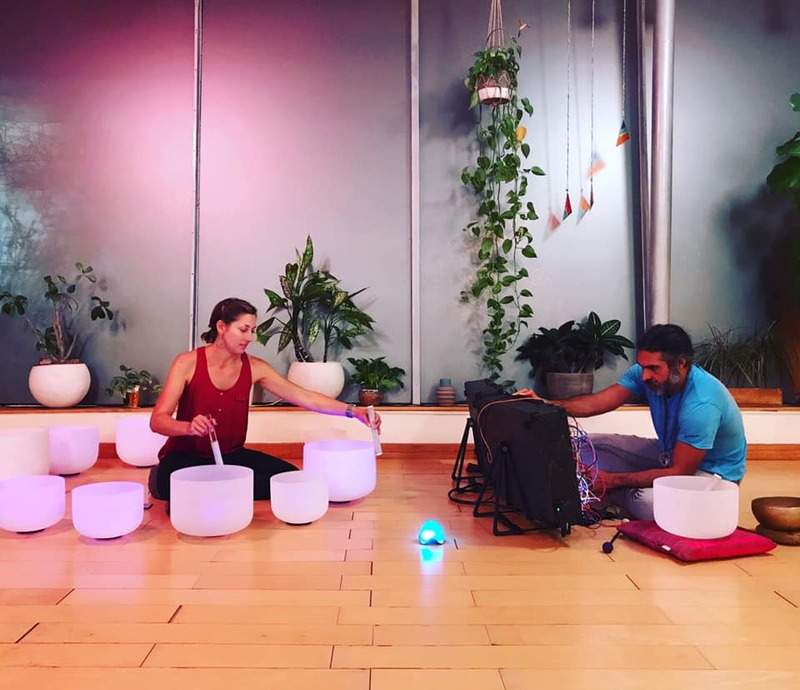 With this Modular Sound Bath, we will work our way into relaxation with breathwork; open our bodies to sound from within by chanting; and then settle, through use of a chakra balancing meditation, into a sweet Sound Experience. Please bring a mat and anything that will make you comfy and relaxed.